Now arriving…well, never. The above shot was taken in the Cincinnati subway project that was halted in 1925 after funds ran dry. 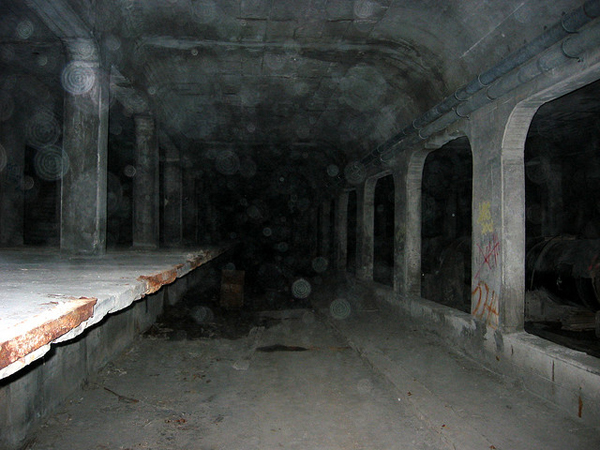 Two miles of the line remain under downtown Cincy — including three stations, one of which is shown above. Here’s a very good website devoted to the subway; a recent light rail proposal defeated by voters would have used the tunnel.